Since it’s inception in 2001, ImageCo Visual Imaging has become one the UK’s leading companies for all things project and print, specialising in wide-format print, signage and exhibitions. What better place to showcase their capabilities than their HQ in Leeds. 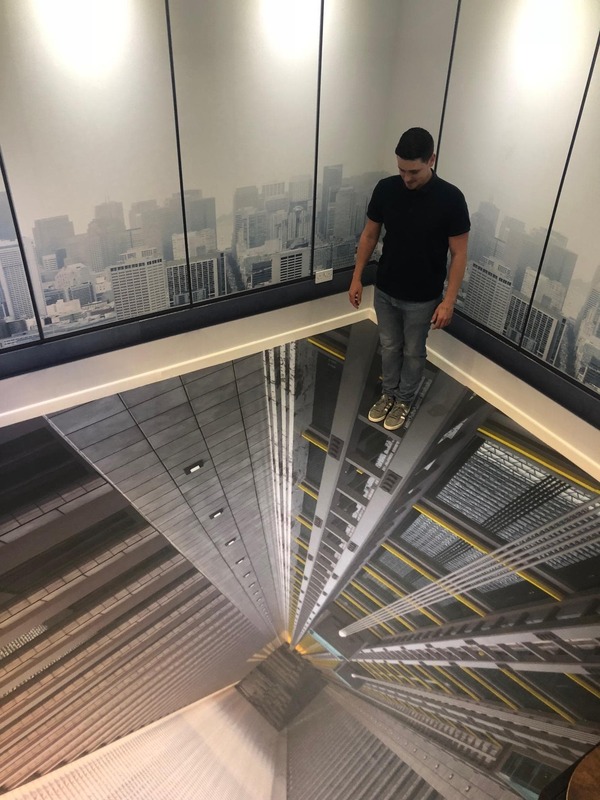 The floor was covered with UDECO Crystal Floor, which has a unique reverse printable, clear media print side and crystal textured anti-slip top surface. It is a durable, soft PVC material suitable for a wide range of applications within retail, expo and architectural environments. The walls were decorated with CMYUK’s own brand, Utack – a thin and woven self-adhesive polyester fabric which is easy to print and install, and removes without damage or residue. CMYUK provides a range of materials sourced from the very best manufacturers worldwide – pushing the boundaries of digital print production by offering cutting edge materials.